Dubai, UAE, April 14, 2019: While the humility and spirituality are at the heart of the holy month of Ramadan, changing your immediate environment can both set the tone and introduce an aura of peace and calm. 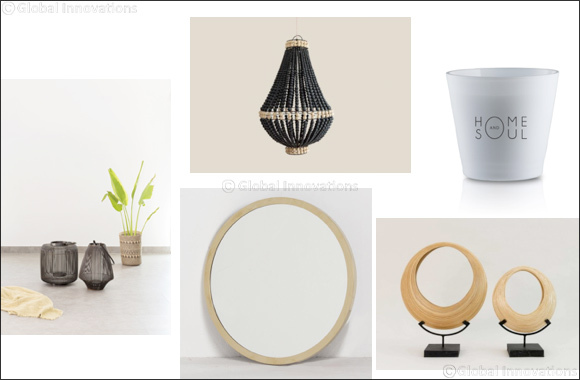 Whether you’re hosting an Iftar, a Suhoor soiree or just looking to simply update your homeware for the special occasion, then look no further than Home and Soul Dubai, as they have plenty of items that can help decorate your home for the festive period. Bangkok Pendant (895 AED): This stunning light fixture lends itself to offering a warm and serene environment making it the perfect option for creating that traditional charm during the holy month. Lisbon Décor Vase (375 AED): Individual bespoke pieces give originality to each section of the house. Vases are a wonderful way to add an organic touch to an otherwise dull space and provide an ethnic look and feel. The Lisbon decor vase at Home and Soul is quite conventional with a modern touch. Charles Mirror (AED 1,235): A gold-hued mirror works as an accent piece adding that inviting touch to any home. Mirrors help add both dimension and depth to any room helping it to appear bigger and brighter. Wire Lantern Round (AED 470): Lanterns act as an ethereal and vintage piece to any home decor. They are a fabulous way to add ambient light to a space especially during this season. Home and Soul Dubai is situated on Al Wasl Road, Villa 6, Dubai, between Um Al Shief and Al Manara.